Scotland’s top vet has reminded dog owners that there is only a few weeks left to get their best friends microchipped. 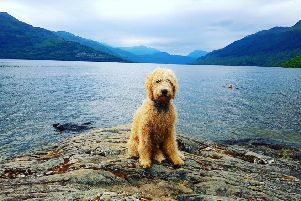 As from April 6, it will be compulsory for all dogs in Scotland to have a chip with their owners’ details registered and kept up-to-date in a database complying with certain conditions. The change in legislation has been highlighted by Chief Veterinary Officer Sheila Voas. She said: “In just over a month’s time, it will be compulsory for all dogs to have a microchip and for owner details to be registered and kept up-to-date. “This will reduce the number of lost and abandoned dogs in Scotland – helping to safeguard animal welfare and promote responsible ownership. “The microchipping procedure is very quick and largely painless, and can be done for free at Dogs Trust mobile drop-in events. In addition, many veterinary practices are offering special deals. Details of free microchipping can be found at www.chipmydog.org.uk.